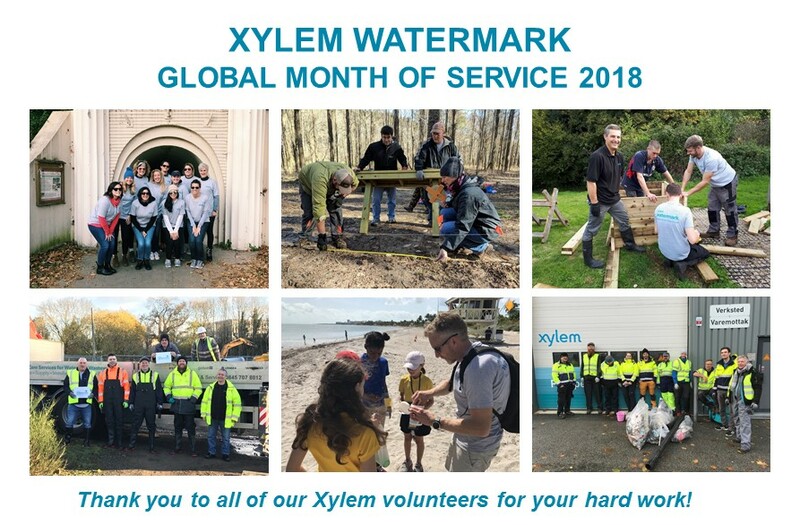 Xylem is proud to announce that its employees volunteered over 10,000 hours across the globe during Xylem Watermark’s Annual October Global Month of Service. Through water source clean-ups, restoration projects, educational water monitoring activities, beach and park clean-ups, community building initiatives, and more, Xylem employee volunteers displayed their true commitment to addressing the global water crisis and protecting safe water resources for communities around the world. With participation from over 100 sites across 34 countries, and over 200 events held worldwide during the month of October, Xylem commends its employees and their dedication to Xylem Watermark’s mission, which led to the biggest Global Month of Service yet.